Nordita Professor Alexander Balatsky is a leader in the fast growing field of Quantum Materials research. 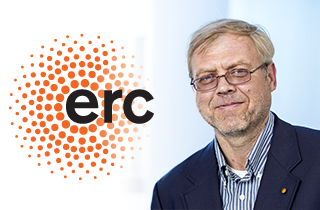 Together with three collaborators in Switzerland he was awarded an ERC Synergy Grant for the project "Hidden, Entangled and Resonating Orders" (HERO), which officially starts on 1 May 2019. The grant is for EUR 13.9 million for six years, of which Prof. Balatsky receives EUR 2.5 million. This is the first time this prestigious European grant is awarded to a project with Swedish participants. Read more in the press releases of KTH Royal Institute of Technology and Stockholm University. The OMDB is an open access electronic structure database for 3-dimensional organic crystals, developed and hosted at Nordita. Event Talk Decoherence in the space of quantum operations: how to coherify a classical map?